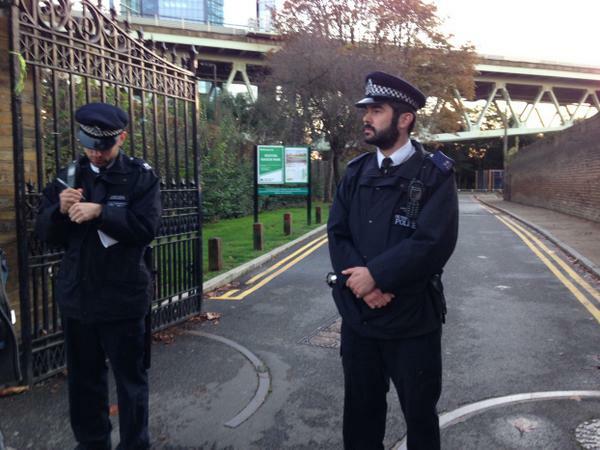 Police searching for Alice Gross murder suspect Arnis Zalkalns have closed the park in west London in which a body has been found while forensics teams investigate the scene. Officers were on guard at all the entrances to the large park and could be seen walking inside it, particularly under the M4 flyover at the Brentford end of the park. There were yellow ribbons tied to railings on the way into the park, and around a large tree about 200 yards from a forensics van.